Dermatocare: Open pores – there is no such dermatological term !!!! Open pores – there is no such dermatological term !!!! As a dermatologist, I get patients who come looking for cure of open pores on their face which are impacting their looks and confidence. I have not read about open pores as a disease and couldn’t find any reference to the same in my standard dermatology textbooks. Hence, I decided to research about “open pores” and started to look for scientific data; this is the summary of information gathered and my understanding of open pores. How do I recognise that I have open pores? Why me! Why do I get these open pores? Can we prevent development of new open pores? Can I get rid of the open pores that I have? Thanks for kind word of appreciation. I am Dermatologist based out of India and this blog is part of Dermato-awareness campaign to spread authentic skin care information and help people take informed decisions. Dark patches- would they ever fade? Atopic Dermatitis- how to prevent flares! Hair Care- simple tips to manage your mane!!! Worried about spots on your face? 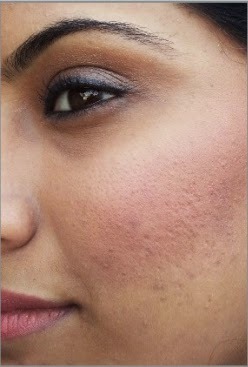 Birthmarks- all of them are not black!!! Lemon is a home remedy that has certain ifs and buts. Sensitive skin- Are you treating your skin like a guinea pig? Child skin care- focus genital area!